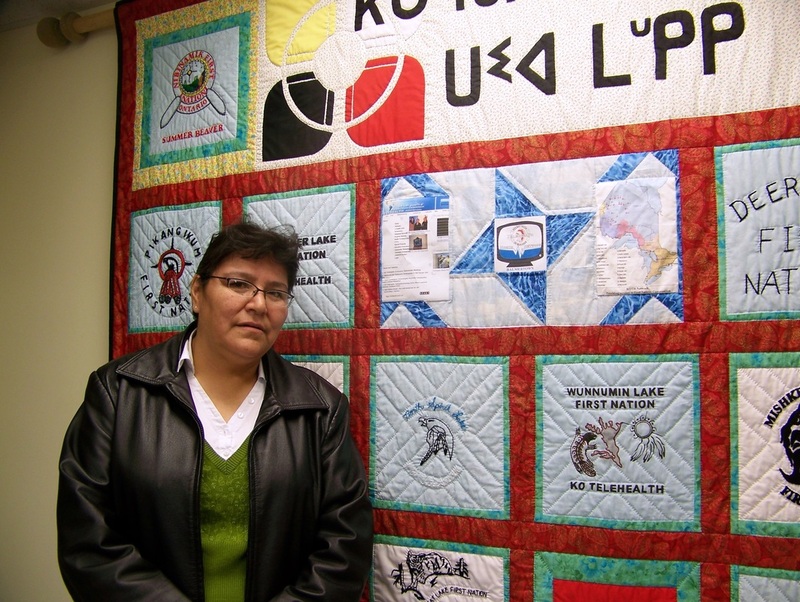 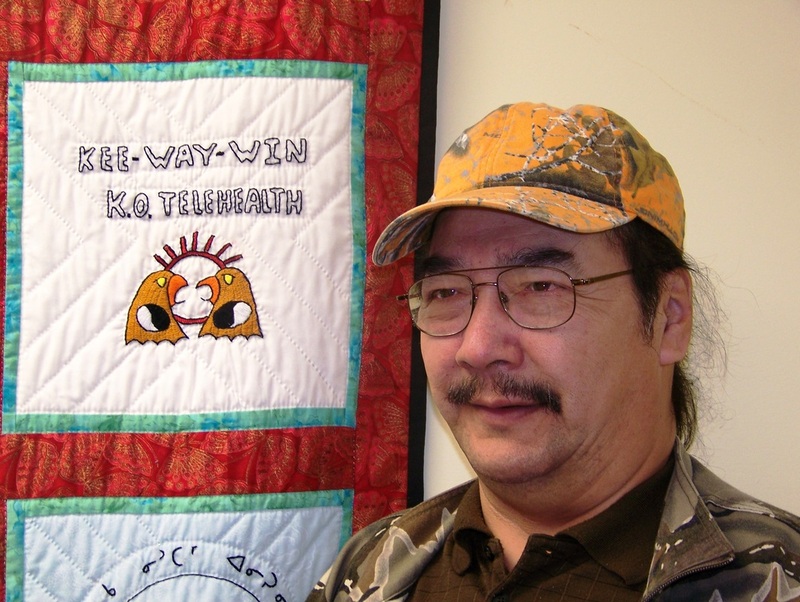 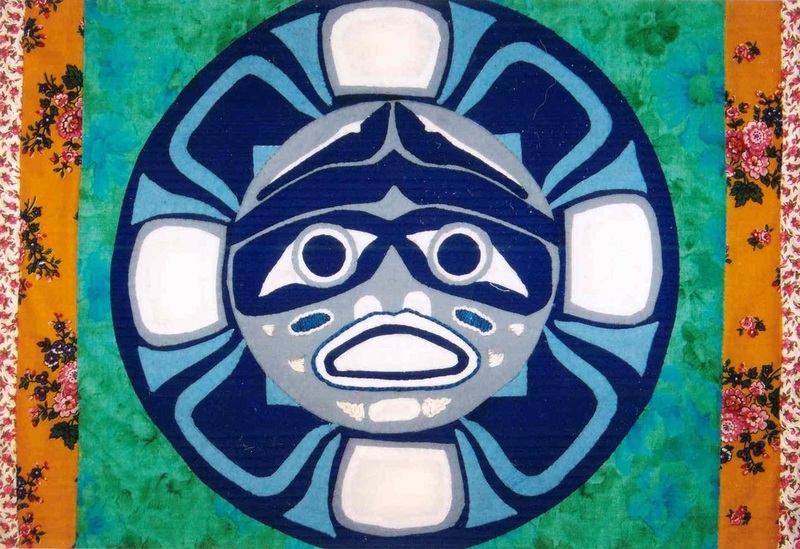 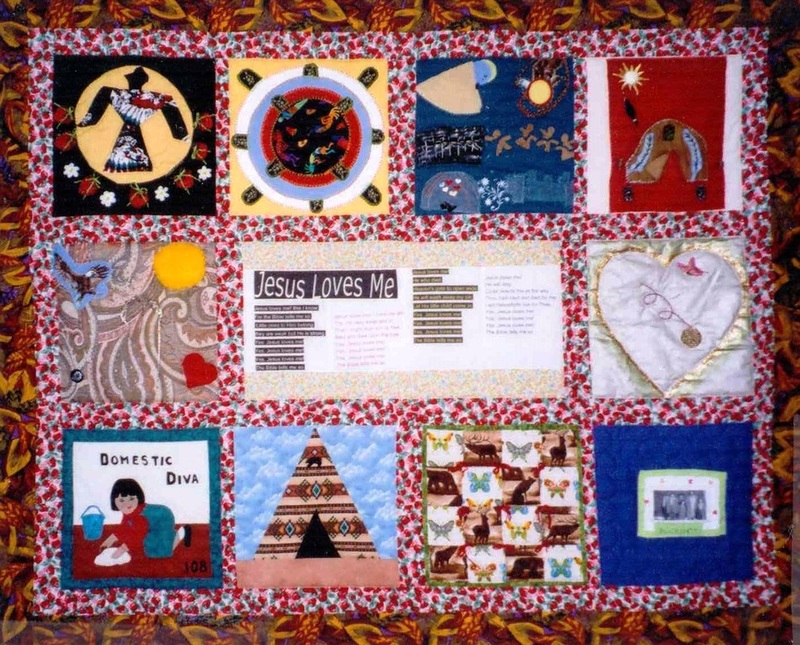 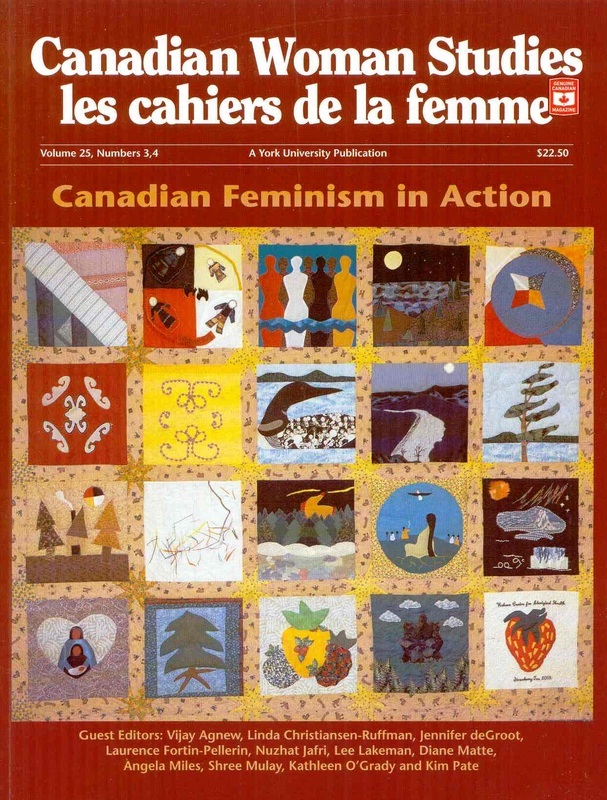 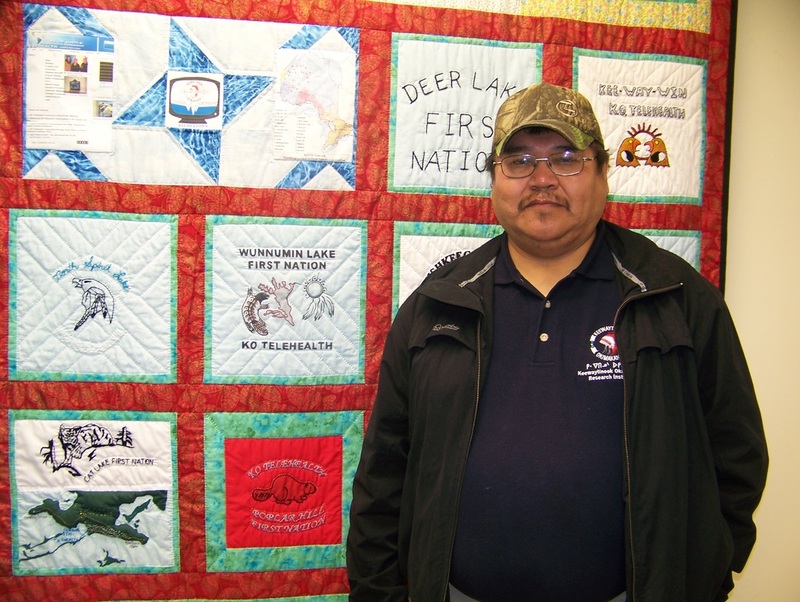 Expert quilter Alice Williams of Curve Lake First Nation coordinated the creation of a 5x14' quilt that served as a backdrop for the 2006 First Ministers Meeting in Kelowna, B.C. 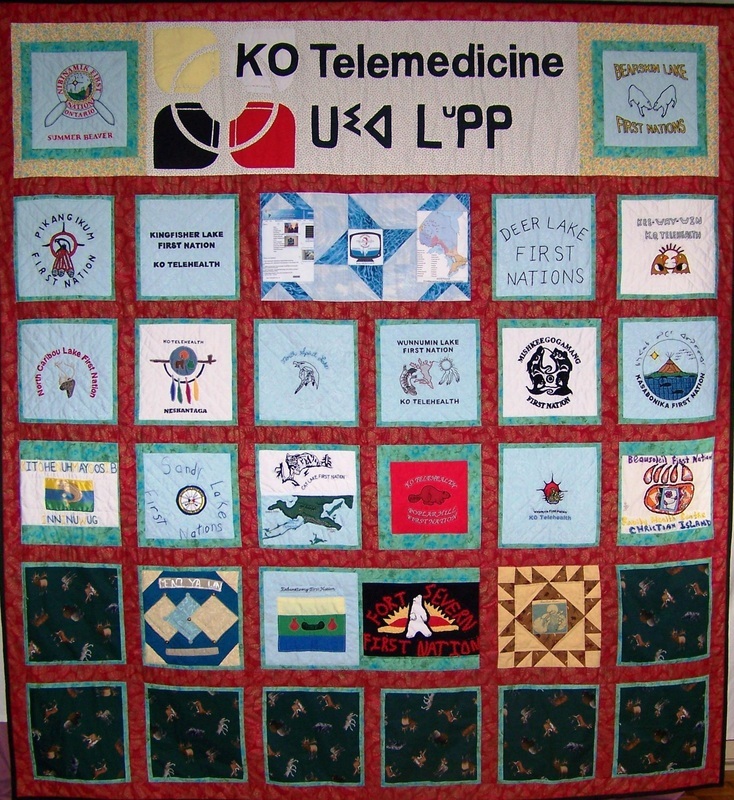 “The theme for the First Ministers’ Meeting had to do with health issues, and our interpretation of the theme is that our health is intimately tied to the Land, for we are a People of the Land. 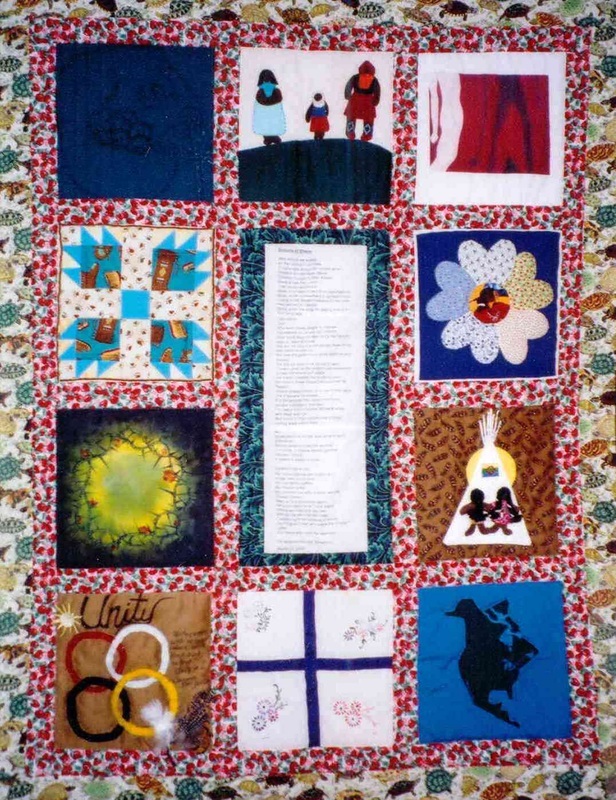 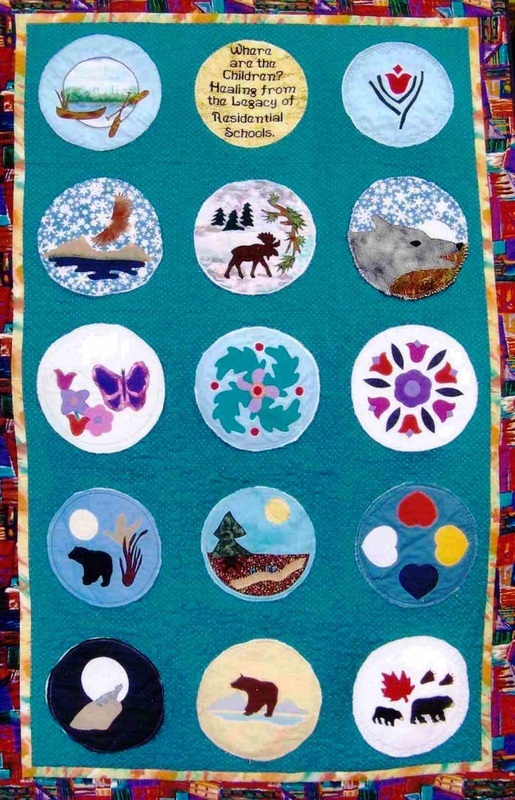 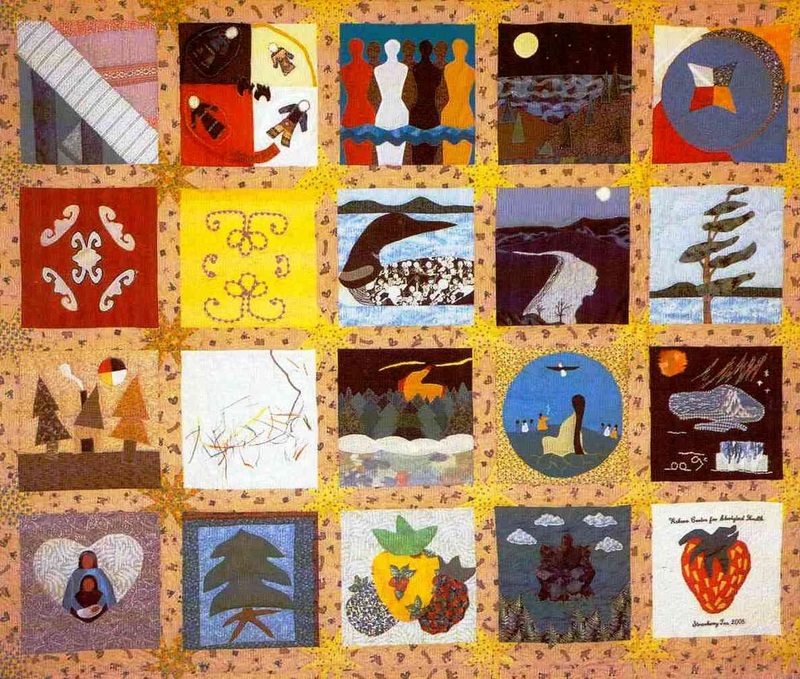 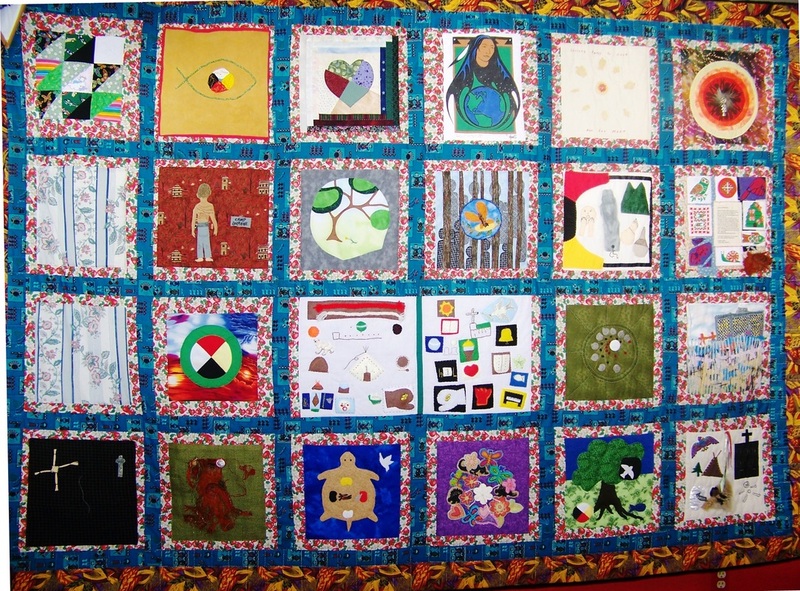 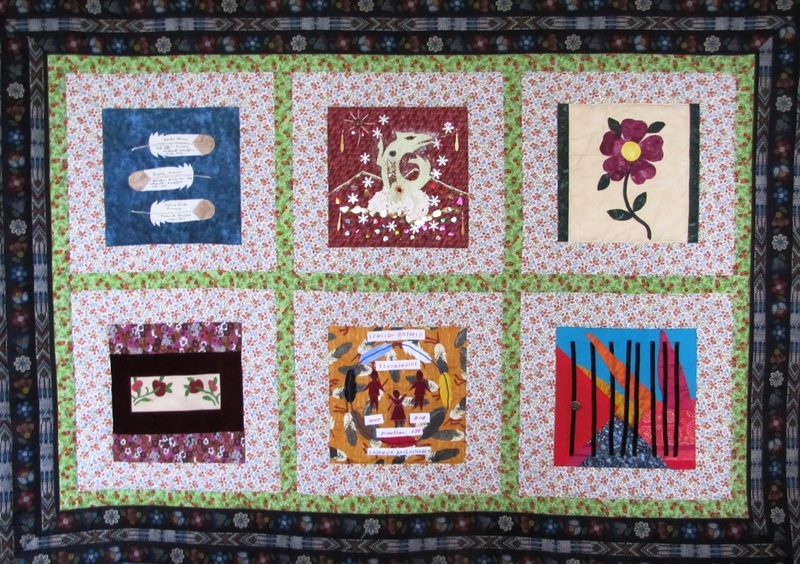 If what they call the 'ecology' or the 'environment' is good, then our health is good.” Women from across Canada contributed squares to the quilt based on their interpretation of the connection between the Land and the People of this great and sacred Turtle Island. 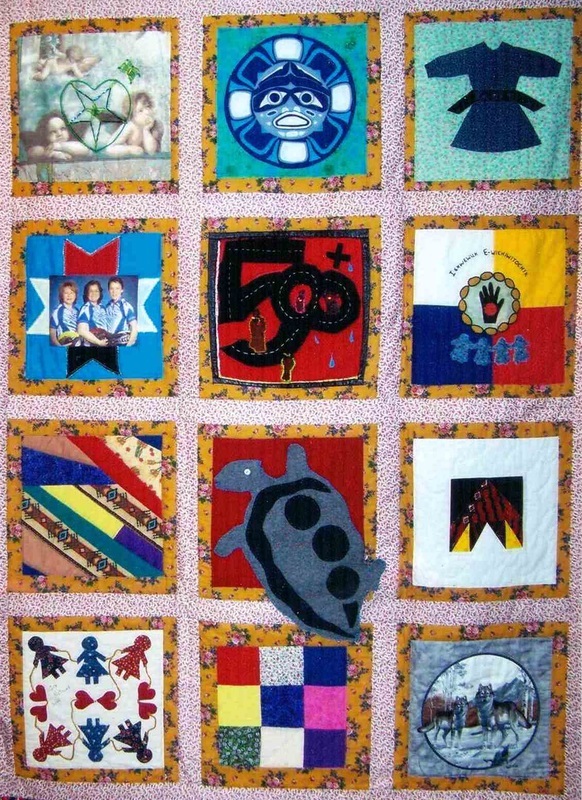 The goal of "Sisters in Spirit" is to conduct research and raise awareness about the alarmingly high rates of violence against First Nation women and girls in Canada. 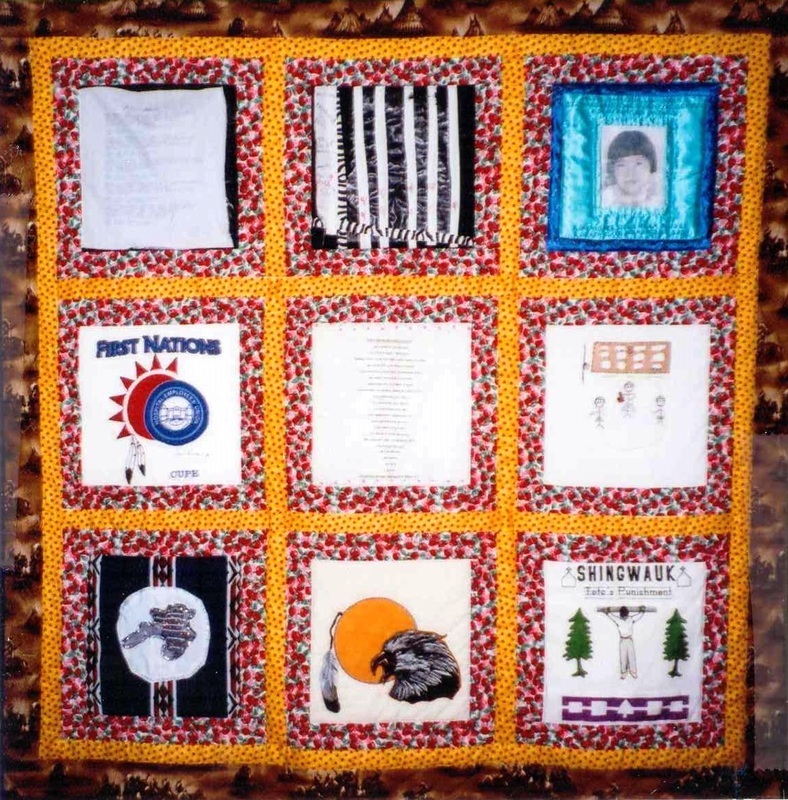 "QUILT FOR THE NORTHERN CHIEFS"